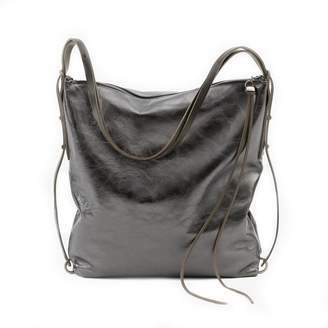 TATES is a perfect business bag that looks trendy for dinner too. 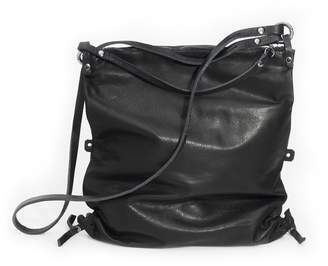 The well-organized bag optimally adapts to the needs of its wearer and gives her a certain something. 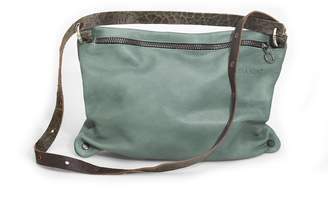 Ways to wear: Can be worn short, over-the-shoulder, crossbody or as a duffel bag. Straps: Long strap, made of super soft leather Interior: One large compartment with zipper fastening and two inside pockets, one with a zipper. Three additional side pockets, two with zipper fastening and inside pocket with karabiner on a long leather strap for your keys. Enough space for a 15 laptop and a 1l bottle. Cotton-lined. What kind of leather do we use? Leather is a natural product, every piece may be regarded as entirely unique. 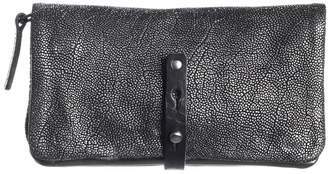 We only use scarcely treated, Italian cow leather. The smooth leather types used are high quality open pore aniline and semi-aniline leathers, which are characterized by their warm and soft touch. Because of the naturalness and purity, irregularities like scars, mosquito bites or slight scratches might remain on the surface. 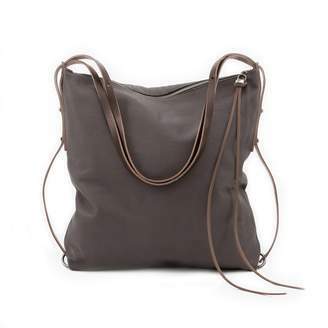 Due to the fact that leather is a natural product, coloring dye might be absorbed in different ways and intensities, which is why INA KENT bags may slightly vary in color. However, these characteristics are not failures or defects, but rather part of the design and individuality. 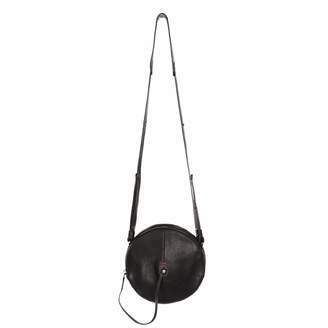 How best to protect my INA KENT bag? Aniline Leather is dyed without covering the surface. Semi-aniline Leather is dyed with just a slight pigmentation that does not cover grain patterns. These are high-quality leathers that only can be produced with the best raw material. Before using your bag for the first time, we highly recommend to treat your bag with special leather care products. Please do not use any products containing fat. Those may block pores and lead to a darkening process of the leather. Avoid excessive sun exposure, since it may cause color fading on the surface. 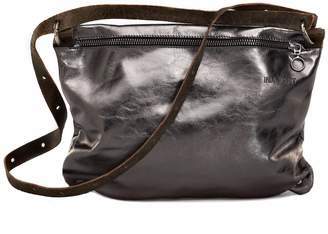 Please note that non-colorfast textiles, like denim, may rub off on the leather of your bag. Please don't use any soaps or other chemical solvents to clean your bag. For maintenance of all smooth leathers, we recommend the products of Colourlock. The product will improve the impregnation and protection effect, if is used on a regular basis. Due to its UV-protection the product contributes to the color-protection. Please also take note of the manufacturer's instructions. The leather that is used to produce the straps of INA KENT bags are vegetable tanned and skin- friendly. Please note that the open cut edges of all of our bag straps can rub off on sensitive textiles or cause slight damages on the textiles surface, when exposed to moisture. 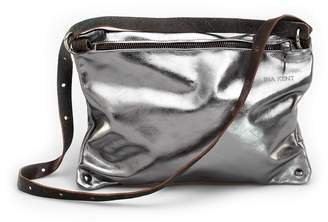 How best to protect my metallic INA KENT bag? The metallic leather is produced by applying a thin film of metal on the natural leathers surface under the influence of warmth and pressure. 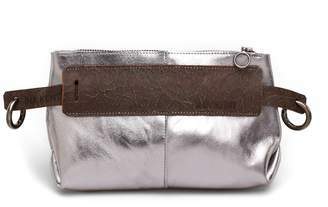 The foil protects the leather from moisture and drying-out. 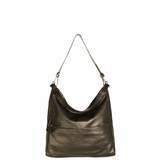 With time and use, the leather develops a matte, arenaceous ( powdery) surface. Please note that sharp or peaked objects can damage the surface. A specific maintenance is not required. How best to protect my vintage INA KENT bag? The vintage leather is an aniline leather with a distinctive patina. After the dyeing process, oils and waxes are applied to the leathers surface. This process makes the leather particularly soft. With time and use, the leather quickly develops a matte and irregular surface, which allows the actual leather color to emerge and hence the unfolding of the desired used and vintage effect. Due to the treatment with waxes and oils, it is protected from certain signs of use and obtains particularly good resistance to fading. Please also note that sharp objects may harm the leather's surface. The vintage leather doesn't require any special care. However, you can add an extra protection on your INA KENT bag by using a Nubuk leather spray before usage. How best to protect my bag from weather conditions? 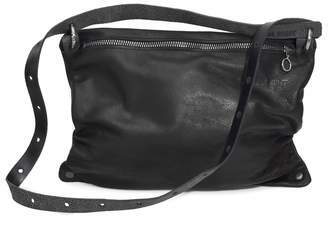 To make your INA KENT bag last longer, you can impregnate it with a Nubuk leather spray before usage. For maintenance of all smooth leathers, we recommend the products of Colourlock. The product will improve the impregnation and protection effect, if is used on a regular basis. Due to its UV-protection the product contributes to the color-protection. Please also take note of the manufacturer's instructions.No special maintenance or impregnation is needed for the Metallic-Honeycomb and Tar leather. Important: Your bag will only be protected from environmental conditions if you safeguard it from the very beginning. Dried stains are very difficult to remove and can only be removed by specialized companies, therefore a prevention is essential. If an accident occurs and you need help, we highly recommend to seek advice from Ledermanufaktur Wien.